Popularly known as ‘The Golden City’, the place is home to yellowish sandstone, various palaces and wonderfully carved Jain temples. 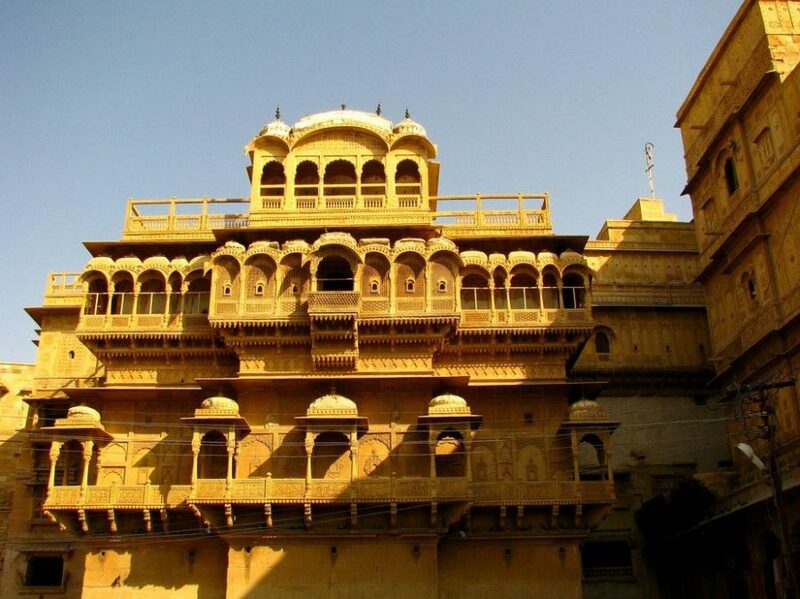 The city of Jaisalmer is also famous as the ‘Sun City of Rajasthan’. 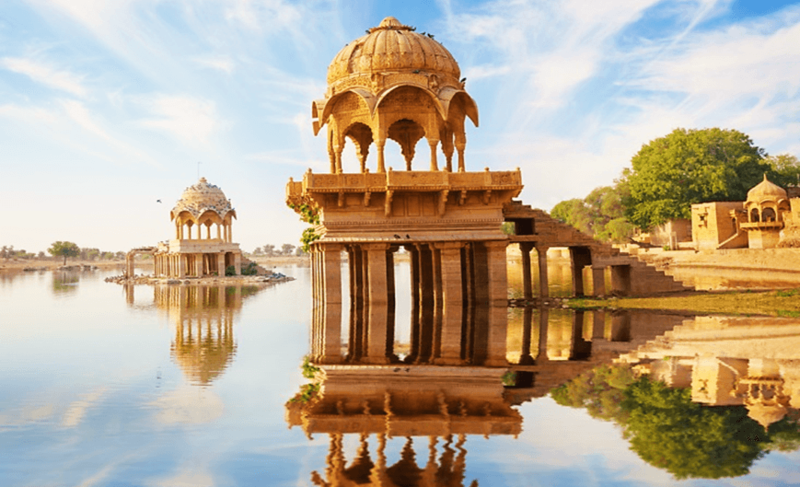 Along with magnificent Jaisalmer Fort, the city has several beautiful attractions to explore. Each part of this city radiates a well-preserved rare old-age charm that is unparalleled. Its traditional values and culture make it an ideal tourist destination and leave the visitors astonished and enthralled with a sheer different thrill. Explore the tourist attractions that this breathtaking city offers to its visitors. 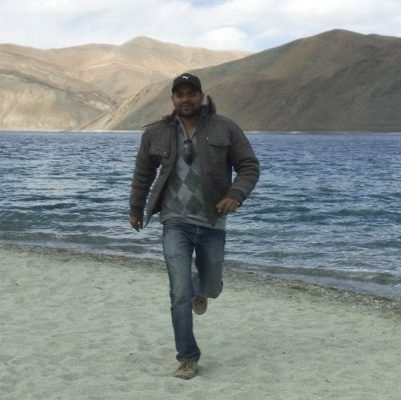 Explore Rajasthan tour packages and visit Jaisalmer with EaseMyTrip. Situated on a 250 feet high hilltop, Jaisalmer fort is one of the oldest forts of Rajasthan that enjoys spectacular views of the immense desert all around. Also known as Golden Fort of Rajasthan, the fort features five attractively built palaces, including Sarvottam Vilas, Akhai Vilas, Gaj Mahal, Rang Mahal and Moti Mahal. The interior of the fort are shelled with stylishly carved jail screens. The fort features four poles, which are Akhai Pole (Ganesh Pole), Suraj Pole, Bhuta Pole and Hawa Pole. Arches and spandrels of the palaces of this fort are painted with alluring murals. 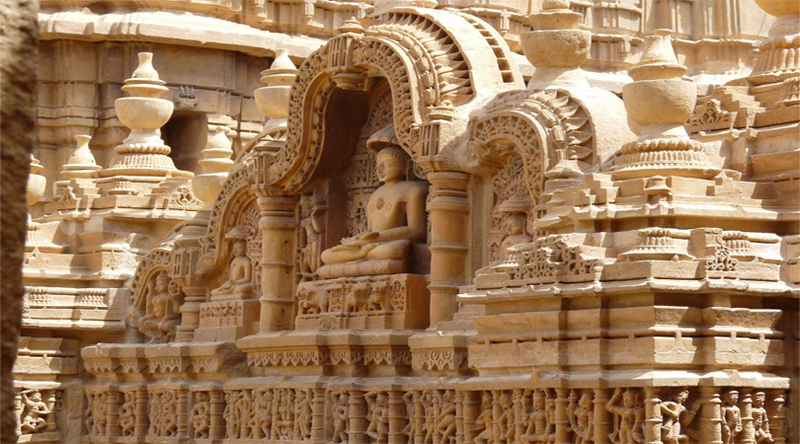 Jain Temples are located in the Jaisalmer Fort. It is a must visit place in Jaisalmer. These temples are very old and associated with high pilgrimage & archaeological value. Constructed during 12th to 15th centuries, these Jain temples are dedicated to different Jain Tirthankars. On the walls of the temples, you can see figures of animal & human carved in prominent Dilwara style. 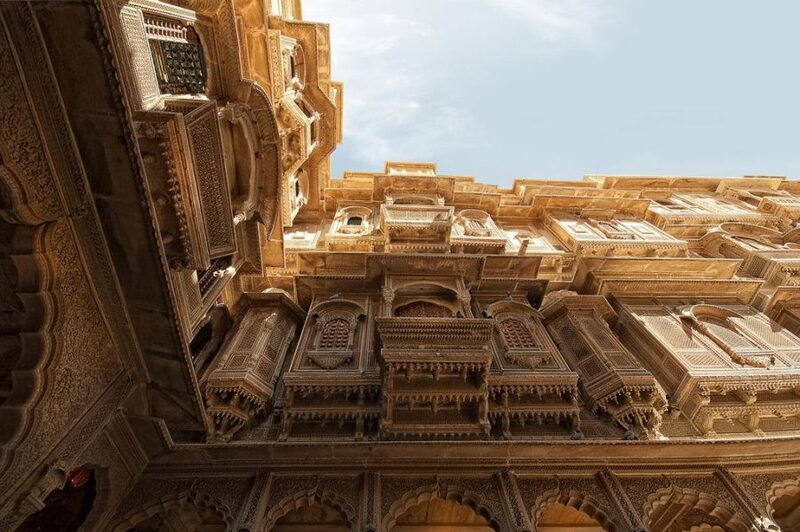 This is a five storied mansion, which is one among the most stylish Havelis of Jaisalmer. Brilliantly and artistically carved, the luxurious mansion is divided into six apartments. Two of these are occupied by Archaeological Survey of India while two are operating as craft-shops. Rest of the two is converted into private homes. Several walls inside this mansion are decorated with paintings and mirror work. 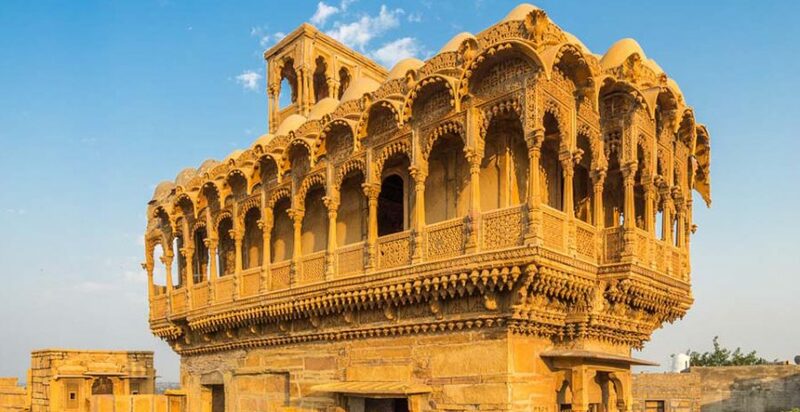 Situated in the main market of Jaisalmer, Thar Heritage Museum was founded by Laxmi Narayan Khatri. The museum elaborately tells the art, architecture, culture and history of the well-known Thar Desert. Sea fossils aging from the millions of years demonstrate that how the sea turned into the Thar Desert. The museum also displays exclusive ornaments of the camels and horses. One can see here selection of documents, coins, ancient manuscripts and weapons. Constructed during the 19th century, the outstanding Haveli is the brainchild of the two talented architect brothers. You can see colossal tuskers built of yellow sandstone and standing as safe guards in this Haveli. The charm of the Haveli is increased with small paintings kept on the walls inside it. 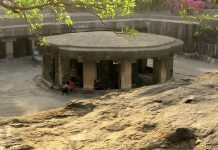 Gadsisar Lake is primarily a water conservation tank, which was built around 1400 A.D. This lake is surrounded with variety of temples and shrines. This is the reason; the place is acknowledged as a stunning pilgrimage spot. It enjoys absolute serenity and a religious aura. The lake also attracts variety of migratory birds. Wonderfully constructed about 300 years ago, this Haveli is an outstanding architectural marvel in Jaisalmer. Situated just below the hill, it features an arched roof with carved brackets in the shape of Peacocks. A significant portion of the Haveli is still occupied. The beautiful Haveli is as high as the Maharaja’s palace. 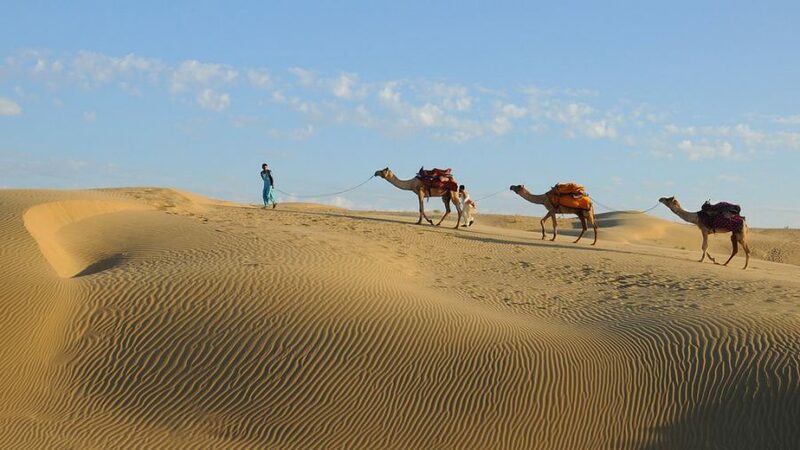 It is one of the most important aspects of Rajasthan tourism and perfect destination to go for a Desert Safari. Enjoy here camel safari and explore the crests and troughs that one can enjoy while watching the picturesque sunset on the desert. Other safari that one may enjoy here is Jeep safari. In the months of February and March, one can enjoy Desert festival without leaving any chance to miss the folk dance, camel race and various cultural events. 84 medieval villages were abandoned by the Paliwal Brahmins overnight. 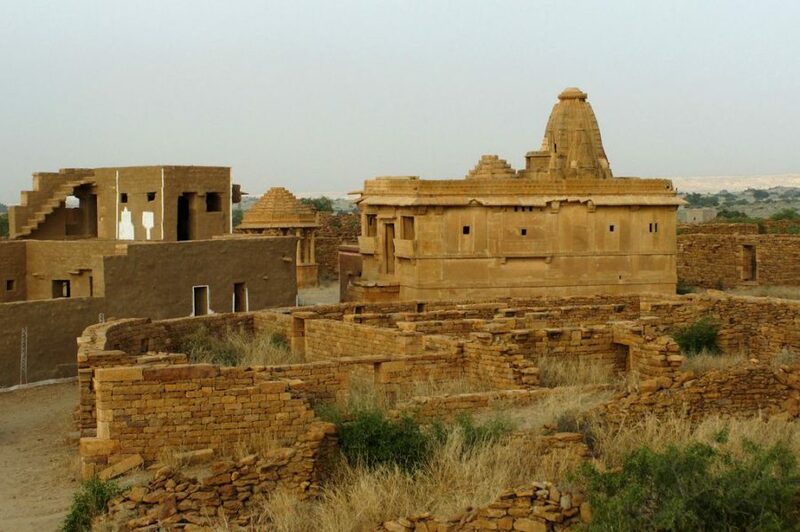 The two most prominent of them are Kuldhara and Khabha, located about 18 and 30 kilometres respectively from the southwest of Jaisalmer. The ruins of Kuldhara and Khabha are fine examples of architectural excellence of that era and are a treat for shutterbugs. Several stories abound, but nobody is really sure why the mass exodus took place. Villagers believe the place is cursed and hesitate to venture inside. These are not the only places to be visited in Jaisalmer. You will get to explore more on your trip.